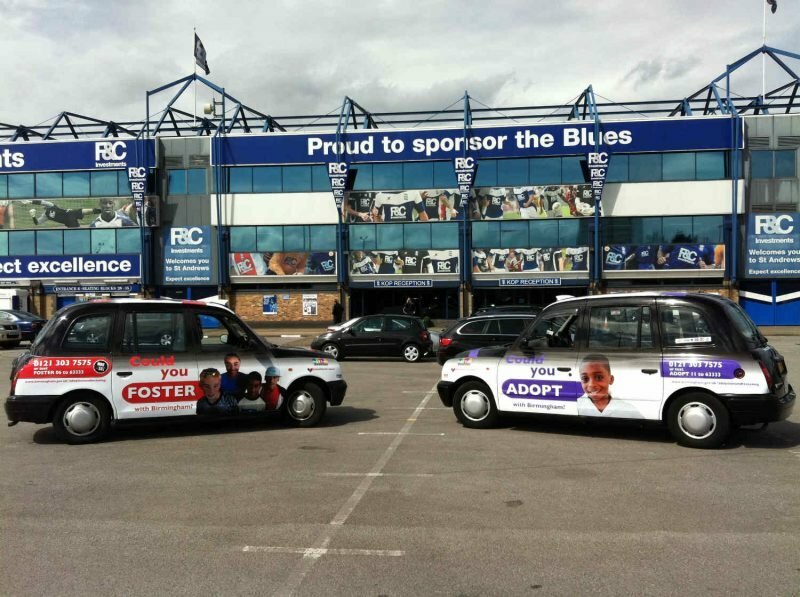 London Taxi Advertising can help your brand stand out in the West Midlands region, and gain exposure in cities such as Birmingham, Wolverhampton, Coventry, Worcester and Stoke-on-Trent. Looking to reach a younger audience of students and millennials? Choose the West Midlands! We work with brands large and small, creating the most captivating cab campaigns on the UK’s busiest roads to help your business stand out from the crowd. Why advertise in the West Midlands? Taxi advertising in Birmingham, England’s second city, will see your adverts placed in front of residents of a major international commercial centre, a hub of education and one of the country’s most popular shopping cities. The West Midlands is home to several major universities, including Warwick, Birmingham and Coventry. This makes it an ideal location in which to target a younger audience. Customised black cabs are a truly unique format, offering unbeatable coverage and providing huge brand exposure. When placed in busy towns and cities they can make a real impact on motorists, pedestrians and passengers. We’ve worked with several major brands on West Midlands-based campaigns, coordinating everything from superside solutions to eye-catching PR stunts. For more information on West Midlands taxi advertising or to discuss your options, feel free to get in touch with our team of cab specialists at LTA today.